I was recently offered (!) 2 AKG D20B microphones in great condition. Unfortunately i don't have the cables for them. 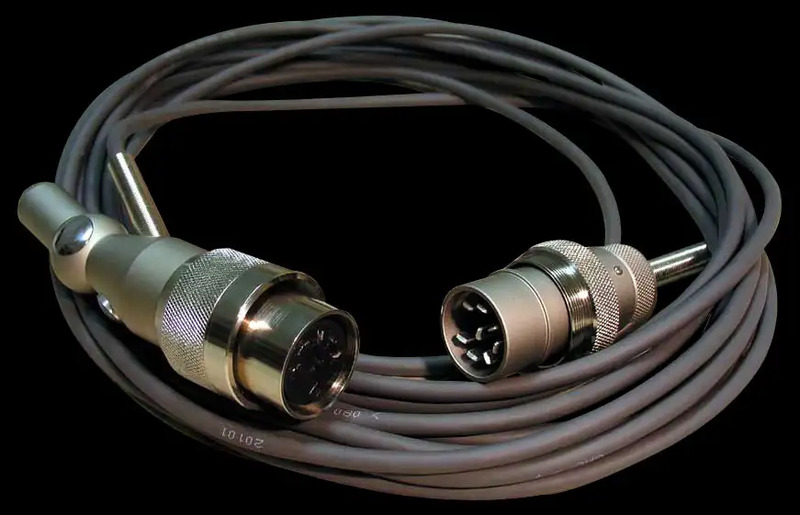 These mics have a special female connector, which according to Hinton Instruments was a proprietary connector by AKG called 3S17B which seems to be made from unobtanium. At first I thought I might be able to change the insert for a large Tuchel, but the thread is slightly smaller (M24?) so the Tuchel won't screw on. Does anyone have an idea how to get these mics to work? If i knew how to disassemble the connector i might be able to replace it by an XLR? Also the plastic frame around the grille has broken, what might be the best way to repair that? A couple of pictures would enlighten us all. I tried to attach some pictures but it says they failed the security test? Broken plastic frame you can glue but it can be a sign that it's been dropped which is a bit of a killer for D20/12s. 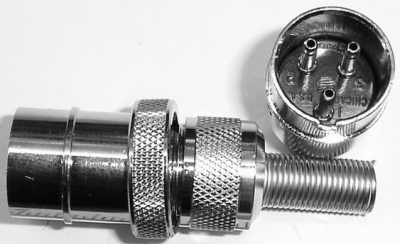 Flea microphones have a six pin version on the psu end of their C12 cable - I'm not sure if the make it or if it's sourced but maybe they can help, they've always been good at responding to emails. Actually, it's not an amphenol 91-mc3f is it? Very similar to a tuchell - but not! Thanks for the replies so far. No its not an Amphenol 91-mc3f. The slots are rectangular like the tuchels. 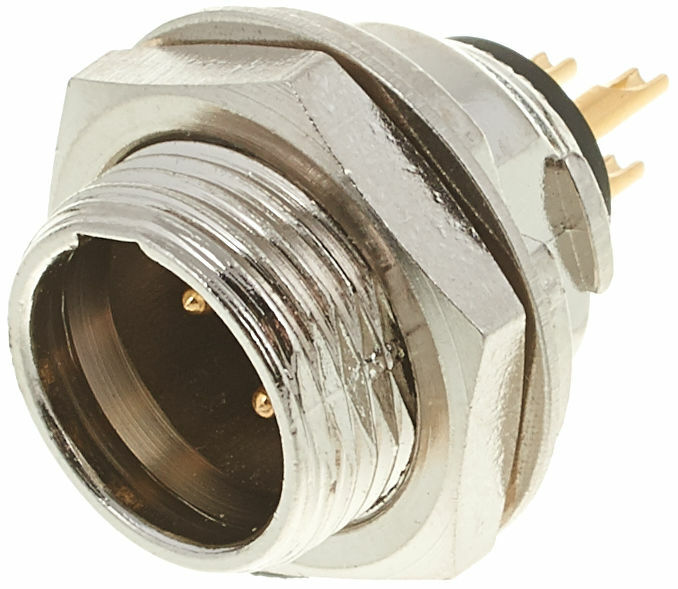 Its not the same as the Flea cable either, since the female connector has an outer thread. Isn't the Flea cable a regular Tuchel? I very much doubt that the mics have been dropped. I hooked them up with just some cable stuck into the slots, and they sound nice, with no noise or other obvious signs that the mics have been mishandled. I got them from a store owner who never managed to sell them, and they where stored in a warehouse which gets pretty hot in the summer so maybe the metal grille dilated and snapped the plastic off. As far as gluing them, I'd like to avoid gluing the plastic to the grille, in the event I need to get to the capsule for any repairs in the future. I imagine that the 4 little holes on the bottom of the plastic frame are holes for the screws that hold the grille in place, correct? They are filled with something that looks like wax, is that to seal the resonant chamber or something? I think the actual housing/grille is the same as the D12. Someone in the know once told me the D12s were made from the capsules that didn't match up to testing - the particularly poor ones were rebranded as "realistic" brand high impedance vocal mics for RadioShack. So you could always search for a defective D12 and canablise it for parts, they've show up on eBay from time to time - I actually have one that died - I'm not prepaired to give up on it just yet. Not till I give it a thorough autopsy. Not sure what the wax is but it could be the case - yes that's where the screws are on the D12. When you remove them the front and back grille will be removable then you can glue the snapped plastic back together with superglue and let it set providing you're careful you'll be ok I've done this on many a D12. Don't use Superglue, but 2 component epoxy glue. I could repair my D12 this way. It sticks to this type of plastic. It would be best to glue in a shortened XLR housing. I haven't found out yet how to get the old one out. You couldn't leave the original as it is and glue a shortened Switchcraft XLR (the one with the screw where the pin insert goes in from the front) into the inside of the connector tube. Stick some fitting pins into the existing connector for contact. Pin arrangement makes it possible to solder them directly to the XLR pins. First stick the pins into the existing connector, solder them to the XLR insert using short hardwires to cross connections 1+3 (2 goes straight over 2), then glue the XLR housing into the tube, using the XLR insert for alignment. Else use some short litz wire. This way it can be reversed to original if anybody likes to do that. Well the current insert is flush with the end of the tube, so it won't be possible to insert anything in the tube without getting the current insert out. But thanks for the suggestion anyway. Or did I misunderstand something? for connectors before you butcher the mic - having the original connector and a replacement cable. I'm sure one with turn up on ebay soon. Guess what!? How frustrating is that?! You've got my geek brain going now- I've got work to do!! Well the current insert is flush with the end of the tube, so it won't be possible to insert anything in the tube without getting the current insert out. A shortened XLR plug might fit into the gap between housing and insert. Of coarse the whole thing will stick out some cm.